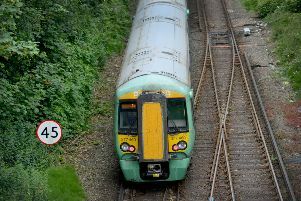 A three-vehicle accident at Hurstpierpoint, which caused severe delays this evening (Friday), resulted in minor injuries, according to Sussex Police. The A23 was reportedly blocked northbound between the B2117 Aldbourne Junction and the B2118 Mill Lane, causing long delays on both approaches. However, a police spokesman confirmed that only a 'slight injury' was sustained in the collision.